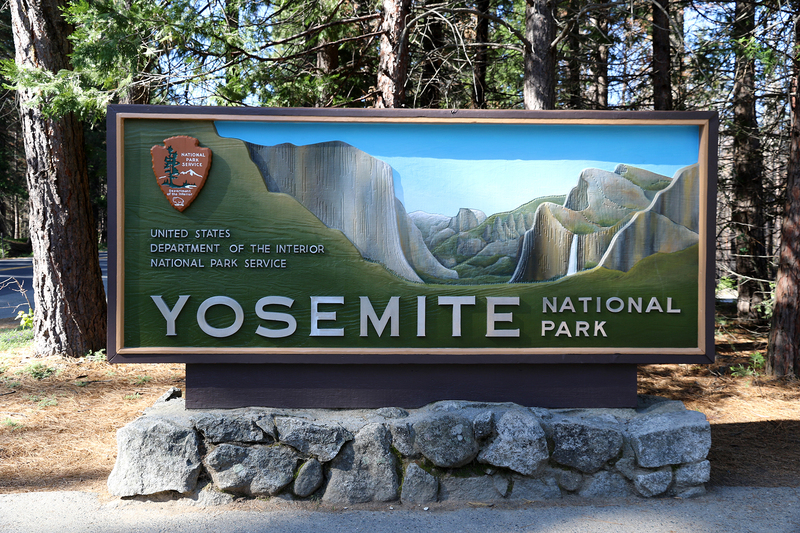 On Saturday, May 28, we broke camp at Hodgdon Meadow Campground after four nights in Yosemite National Park. It was time to return to Patrick’s apartment in Los Angeles, and then on to other adventures in Channel Islands National Park the next day. Saying goodbye to Yosemite for the second time, I knew it would not be the last time. But likely our next visit will be with our kids someday. This entry was posted in Journey and tagged California, Camping, Yosemite on September 7, 2016 by Brandon Hayes. 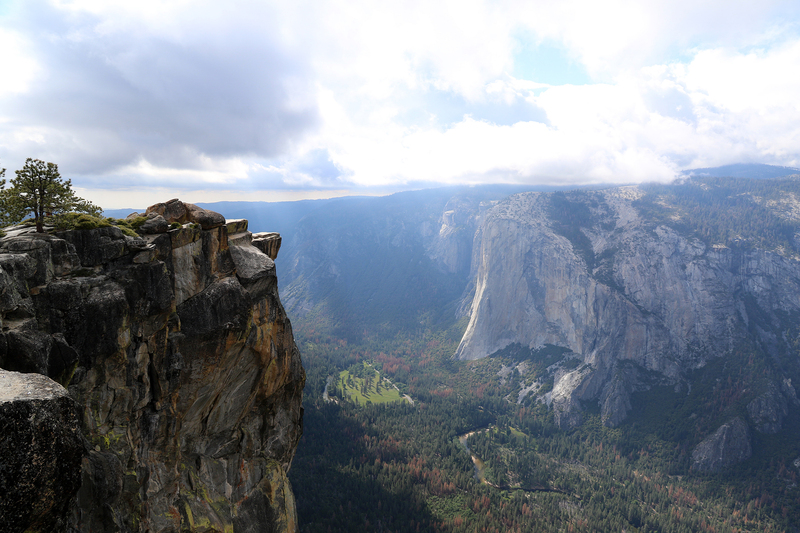 Sean and I were back in Yosemite Valley around 3:30pm on Friday, May 27. We decided to see out the afternoon by going to the Valley Visitor Center and then taking a walk. My hope when planning the trip was that we’d spend one full day in the valley, perhaps parking the Jeep at Bridalveil Fall and then walking the trails all the way as far as Mirror Lake. 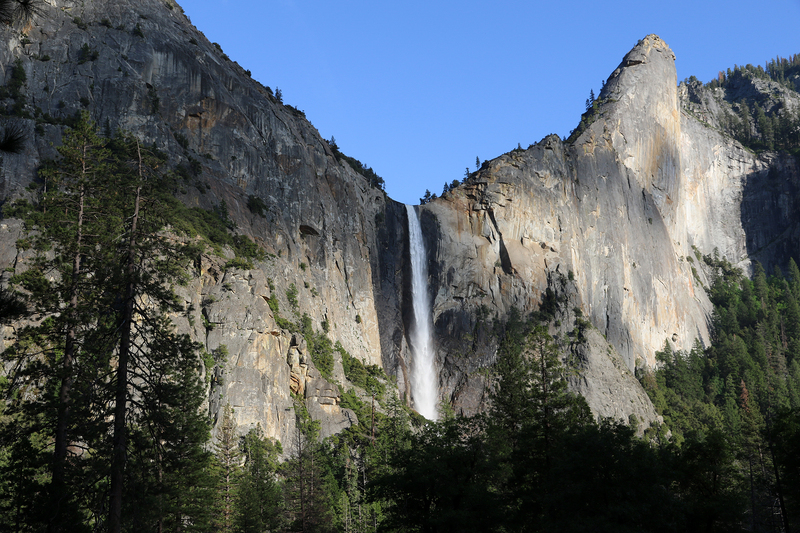 That and any hikes up from the valley floor, such as Yosemite Falls Trail or the Mist Trail, were victims of Sean’s lingering cold. But he had been a trooper throughout the trip, and the late May weather was glorious, so we sallied forth to see something beautiful. This entry was posted in Journey and tagged California, Camping, Day Hike, Yosemite on September 5, 2016 by Brandon Hayes. Go where you may within the bounds of California, mountains are ever in sight, charming and glorifying every landscape. Along Big Oak Flat Road on May 26, after our day above the south rim of Yosemite Valley, we stopped to have a look at the wildflowers. The area the road passed through had burned in the late August/early September 2009 Big Meadows Fire. The fire, which began as a prescribed burn, escaped and burned 7,425 acres of mid-elevation forest west and north of Yosemite Valley. 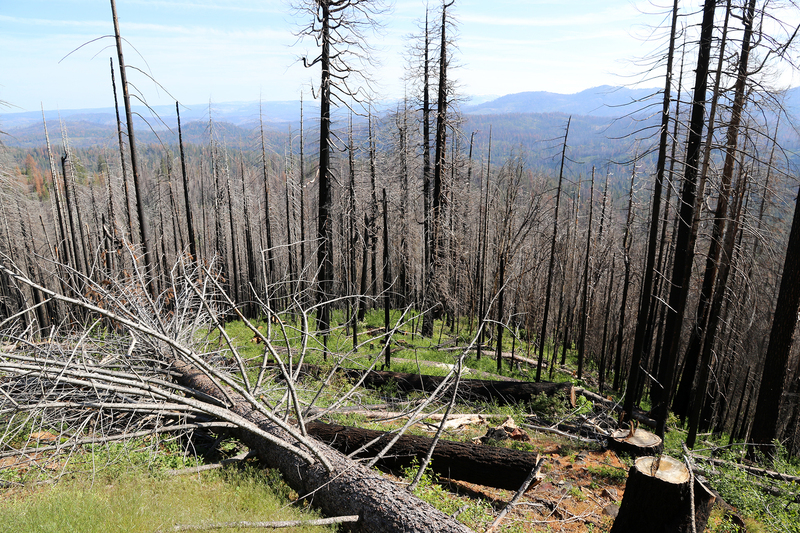 In the seven years since the area was burned, a robust chaparral ecosystem has replaced what had been pine forest. 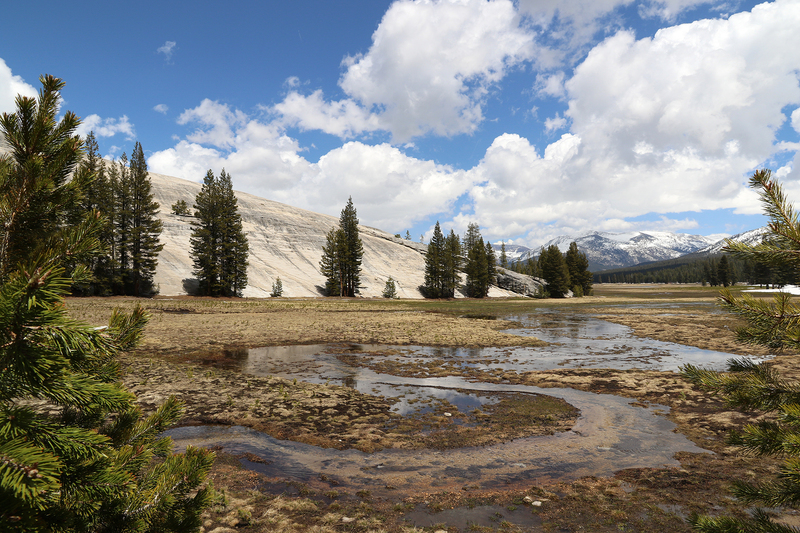 The upshot is that this western section of Yosemite National Park, even at an elevation around 5,000 feet, feels like “California,” like the chaparral of Los Angeles or elsewhere in the state. 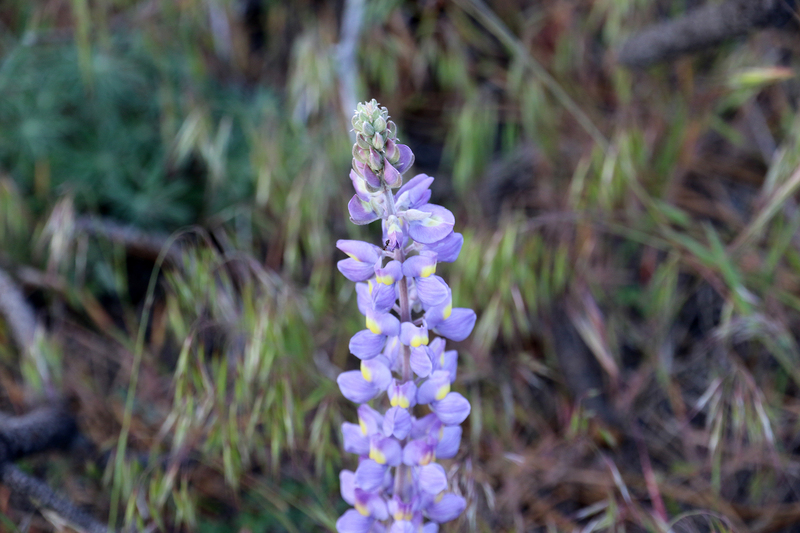 There may be many high-elevation plant species that are the same as those found in the Rockies or the Cascades or Alaska even, but this chaparral was a reminder that Yosemite National Park is a California park and that these are the mountains of California. This entry was posted in Journey and tagged California, Camping, Yosemite on August 24, 2016 by Brandon Hayes. After our visit to Glacier Point and a bit of lunch, we decided to spend the afternoon of Thursday, May 26 doing some hiking on trails along Glacier Point Road south of the Yosemite Valley rim. 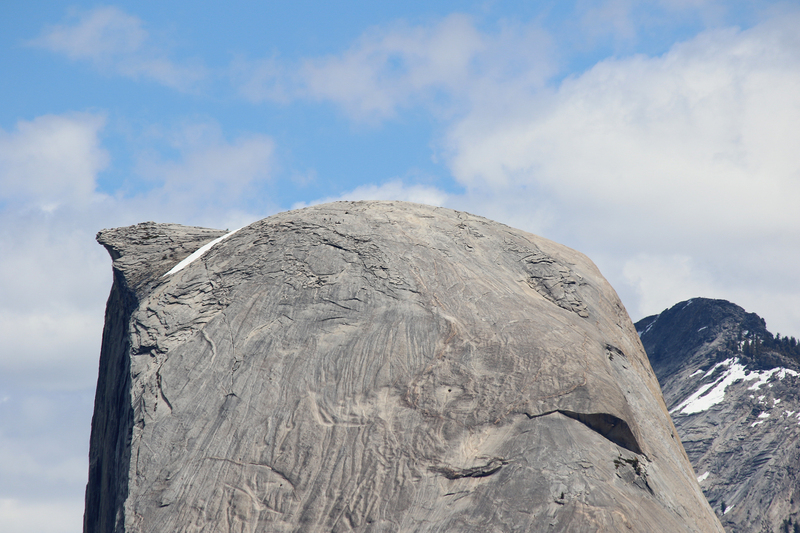 Our first destination was the trail to the top of Sentinel Dome, at 8,211 feet the highest overlook on the Yosemite Valley rim save for Half Dome. 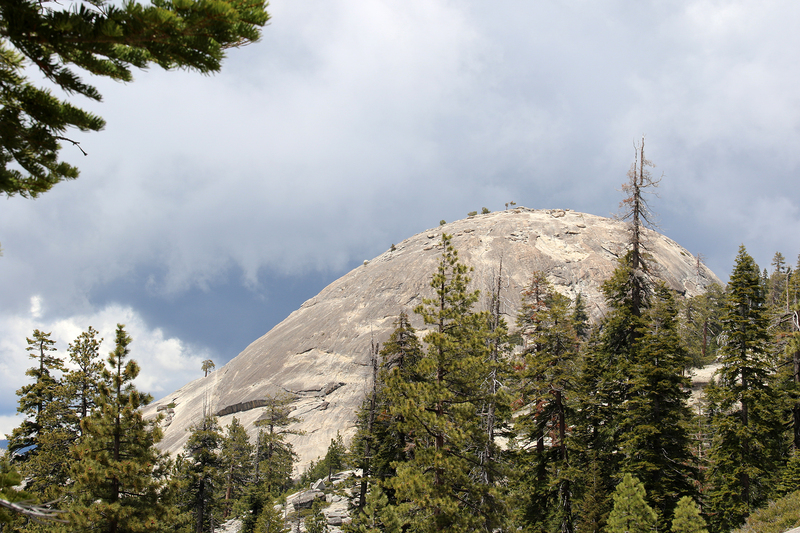 The top of Sentinel Dome is most easily reached by a 1.1-mile trail with a 460-feet vertical rise from the Taft Point/Sentinel Dome Trails parking area. This entry was posted in Journey and tagged California, Day Hike, Yosemite on July 16, 2016 by Brandon Hayes. Thursday, May 26 dawned cool and bright in Hodgdon Meadow Campground. Sean was still fighting his cold, so we decided that instead of a long walk in Yosemite Valley, we would take the recommendation of our campground neighbors and drive up into the high country south of Yosemite Valley to one of the most famous vistas in the National Park system: Glacier Point. This entry was posted in Journey and tagged California, Yosemite on July 11, 2016 by Brandon Hayes.